ProDynamic knives are designed for use in all cooking areas. Their hygienic handle is made from solid plastic. 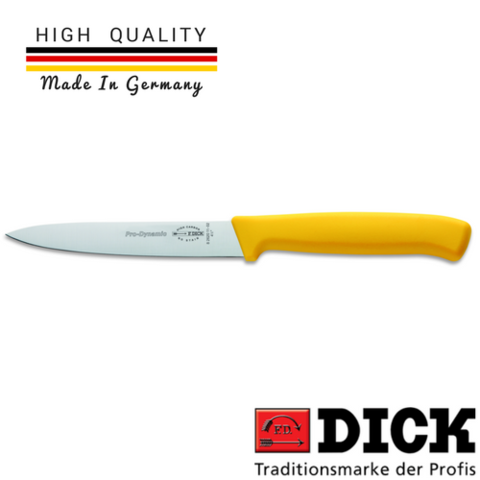 These knives come with high quality blades, and a total modern design. Kitchen knives are little helpers in the kitchen. They come in different blade lengths - chosen based on personal preference and the range of applications. The classic, slightly rounded cutting shape copes effortlessly with different tasks. Kitchen knives are ideal for cutting small fruit and also for peeling fruit and vegetables. Length: 11 cm OR 4.5"